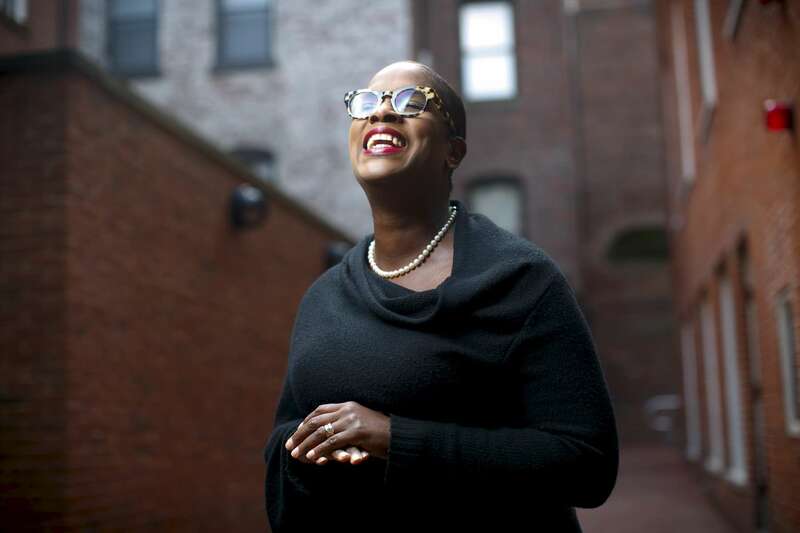 10/22/2015 - Boston, MA - Bithiah Carter, cq, runs New England Blacks in Philanthropy. She is photographed here in front of the Museum of African American History in Beacon Hill. Topic: 110115Charitable(4). Dina Rudick/Globe Staff.